I am appointed as an Associate Professor of the Practice of Marine Conservation & Ecology at the Duke University Marine Laboratory in the Marine Science and Conservation Division of the Nicholas School of the Environment. In this capacity I am also the Director of the Duke Marine Lab Unoccupied Systems Facility. I hold adjunct appointments at Murdoch University in Western Australia and in the Department of Biology and Marine Biology at the University of North Carolina, Wilmington. I am also a skilled educator at both the undergraduate and graduate levels, and have considerable experience in both large and small classrooms, as well as in field-based learning situations. 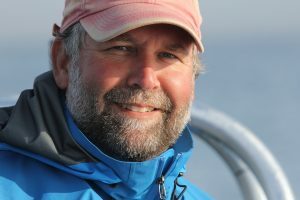 My objective as a university educator is to teach aspects of marine biology, ecology and conservation in an integrative manner – I do this by employing a diverse array of tools, techniques and case studies to help students learn both basic and advanced ecological principles in relation to current conservation issues. I believe that integrative teaching involves incorporating techniques and disciplines that are most often found employed separately. For example, we can draw from the usually disparate fields of philosophy, oceanography and ecological theory to better assess and explain relationships amongst plants, animals (including humans) and the physical environment. I am well prepared for integrative teaching – my scientific approach often incorporates a variety of techniques to answer broad ecological questions about population dynamics, foraging behavior and habitat use. In this context, I often employ examples relating to marine megafauna – large invertebrates, pelagic fishes, seabirds, turtles and marine mammals. These compelling species act as natural hooks to gain the interest and maintain the attention of students, helping them learn and retain key concepts. Furthermore, I wholeheartedly embrace experiental learning opportunities – it has been my experience that students learn best by doing, and especially so in compelling settings. As an educator, I’m amazed at how well (and frequently) students use their mobile devices (smartphones, tablets etc) to communicate and learn. This represents a significant opportunity for teachers – these devices can be tapped to provide content to students wherever and whenever the time is right and can facilitate learning in the classroom in more structured settings. To this end, I’ve started a collaborative project that is focusing on bringing the content of one of our courses into a mobile format. In particular, the project has developed an application for Apple’s iPad – Cachalot – that allow students to interact with all of the course content on their hand-held device. You can learn more about it on the Digital Seamonsters website. Friedlaender, A., D. W. Johnston, R. Tyson, Reny, A. Kaltenberg, J. Goldbogen, A. Stimpert, E. Hazen, P. Halpin, A. Read, D. Nowacek. 2016. Two-step decisions in a central-place forager. Royal Society Open Science. Kraska J, G. O. Crespo and D. W. Johnston 2015. Bio-logging of marine migratory species in the law of the sea. Marine Policy 51:394–400. McDonald, M. A., J. A. Hildebrand, S. M. Wiggens, D. W. Johnston and J. J. Polovina. 2009. An acoustic survey of beaked whales at Cross Seamount near Hawaii. Journal of the Acoustical Society of America. 125 (2): 624-627. Johnston, D. W., M. A. McDonald, J. J. Polovina R. Domokos, S. Wiggens and J. A. Hildebrand. 2008. Temporal patterns in the acoustic signals of beaked whales at Cross Seamount. Biology Letters. 4: 208-211. Johnston, D. W. and A.J. Read. 2007. Flow-field observations of a tidally driven island wake used by marine mammals in the Bay of Fundy, Canada. Fisheries Oceanography. 16:422-435. Johnston, D. W. 2013. Vigilance, Resilience and failures of Science and Management: Spinner dolphins and tourism in Hawaii. Chapter 20 In Higham, Bejder and Williams [Eds]. 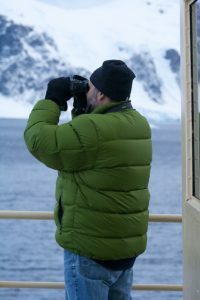 Whaling-watching, sustainable tourism and ecological management. Johnston, D. W. 2012. 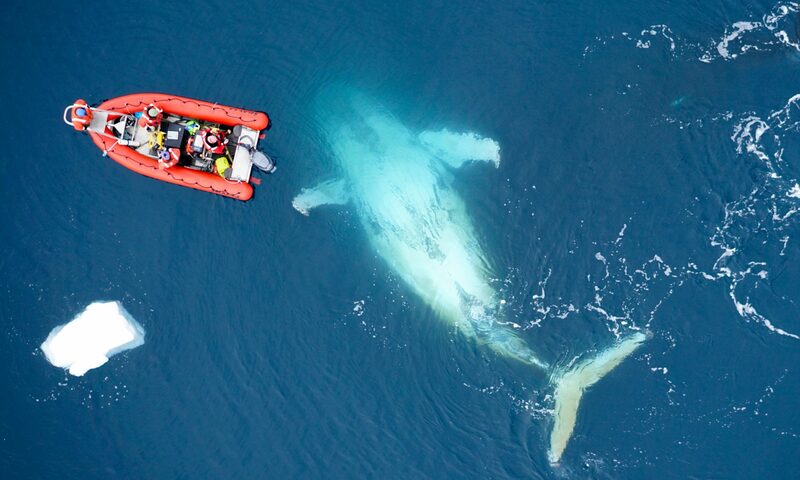 Re-Imagining the Marine Science Textbook: Cachalot | Mobile Marine Megafauna. Duke Environment Magazine. Spring 2012. Gales, N. N., D. W. Johnston, C. L. Littnan and I. Boyd. 2010. Ethics in Marine Mammal Research. Chapter 1 In (I. Boyd, D. Bowen and S. Iverson, [eds.]. Marine Mammal Ecology and Conservation: A Handbook of Techniques. Oxford University Press, Oxford U.K.
Carretta,J. V., K. A. Forney, M. S. Lowry, J. Barlow, J. D. Baker, D. W. Johnston, B. Hanson, R. L. Brownell Jr., J. Robbins, D. K. Mattila, K. Ralls, M. M. Muto, D. Lynch, and L. Carswell. 2010. Pacific Marine Mammal Stock Assessments: 2009. NOAA-TM-NMFS-SWFSC-453. U. S. DEPARTMENT OF COMMERCE. National Oceanic and Atmospheric Administration. National Marine Fisheries Service. Southwest Fisheries Science Center. 336pp. Wells, P.G., P.D. Keizer, J. L. Martin, P. A. Yeats, K. M. Ellis and D. W. Johnston. 1996. The chemical environment in the Bay of Fundy. Pages 37-56 In J.A. Percy, P.G. Wells and A.J. Evans [eds.]. Bay of Fundy Issues: A scientific overview. Environment Canada – Atlantic Region Occasional Report No. 8. When my seals call home, they rely on America’s most available network. RTP 180o. Research Triangle Park. June 2013. The iPad as a Digital Teaching Tool: Apps, Textbooks and best practices for using mobile devices in the class, lab and field. Board of Visitors Retreat. Nicholas School of Environment, Duke University. April 2013. High-Latitude Marine Megavertebrates and Climate Change: Innovative Approaches to Conservation Challenges and Educational Opportunities. Center for Ocean Solutions, Stanford University. October 2012. Presenting Ocean Mapping and Citizen Science – Water Theme. Duke Forward Fundraising Campaign Launch. Duke University. September 2012. Developing ecological niche models for marine vertebrate conservation: Climate change in the Western Antarctic Peninsula and dolphin-based tourism in Hawaii. Spring Invitational Seminar Series. School of Marine Science and Policy. University of Delaware. April 2012. Smartphones and Marine Mammal Conservation: Citizen Science in the Age of the “Tricorder.” Murdoch University Public Lecture Series. Murdoch University. February 2012. Developing the Scalable Open-Access Digital Textbook for Marine Science: Enhancing Science, Technology, Engineering and Math (STEM) teaching through the integration of transformational philosophy, pedagogy and technology. Murdoch University. Exploring, Discovering and Transforming’ Research Group Seminar Series. Murdoch University. February 2012. On thin ice: Climate change and high-latitude marine vertebrates. Let’s Talk CO2: Learning, Sharing and Actiing On Climate Change. Pine Knolls Aquarium Workshop on Climate Change. November 2011. New publishing/New pedagogies: How online media and mobile devices are changing the way we think about publishing, teaching, and community engagement. Duke Center for Instructional Technology Seminar Series. Duke University. October 2011.